Book Abu Dhabi: Hop-On/Hop-Off-Bus tour 24/48 Hours Tickets and discover the top highlights of the capital of the UAE individually. • Discover traditional Arabian craftsmanship at Heritage Village and enjoy breathtaking views of the Abu Dhabi skyline. Explore Abu Dhabi as and when you want it, according to your individual schedule, with our 24 or 48-hour ticket for the open-air, air-conditioned Hop-On/Hop-Off bus in the city Dhabi. On board, you will receive your personal Audioguide, which is available in eight languages, giving you a great insight into the rapid development and cultural history of the United Arab Emirates. See all the famous landmarks of Abu Dhabi, such as the Corniche Road and the Heritage Village. Drive past Luxushotels such as the Emirates Palace and shopping centers such as the Marina Mall and get off at Ferrari World to drive with the fastest roller coaster in the world. Your ticket also includes a shuttle service to Abu Dhabi's entertainment center, Yas Island, and free entry to the Sky Tower in the Marina Mall. 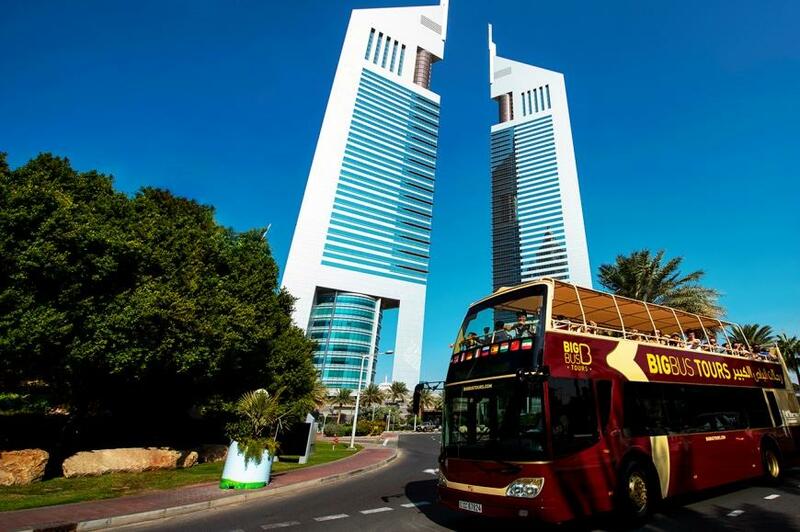 The big bus ticket combines two routes: the red route (city tour) with a duration of 2 hours without disembarkation and the island shuttle (Yas Island) with a journey time of 2 hours without disembarkation. Tickets are valid within 24 or 48 hours of operation. You can get in and out of any of the 22 stops in Abu Dhabi. 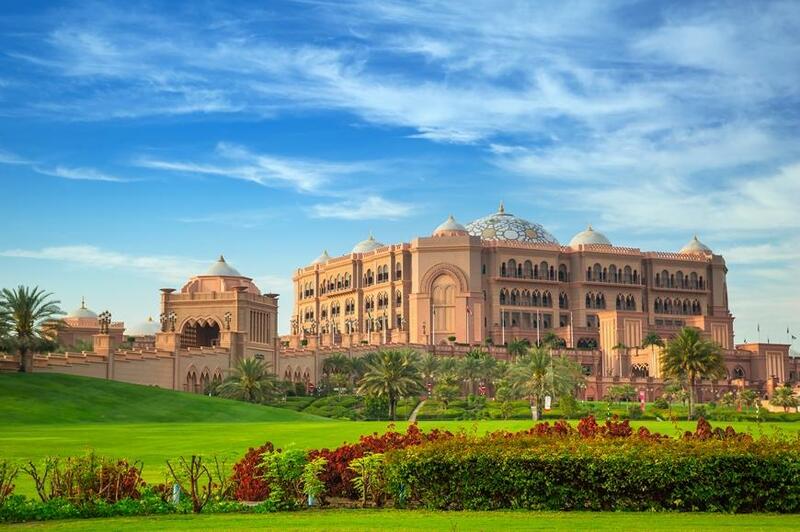 • You can start your tour at any of the 22 stops in Abu Dhabi. Please bring your booking confirmation with us and have them checked by a Big Bus employee at the beginning. See more Already the exciting journey can begin. Book Big Bus Tours & Tickets in Abu Dhabi online. This tour can be canceled up to 2 days before the start of the tour free of charge.